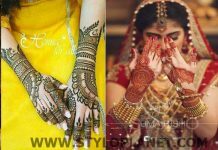 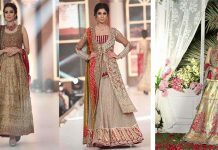 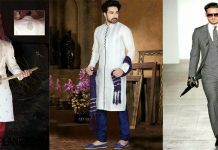 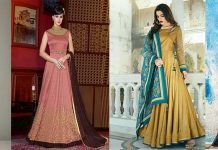 In Pakistan, the wedding events have lots of functions to celebrate like mehndi, mayoun, barat, Walima or reception etc, h and soft and pastel look on her walima function. 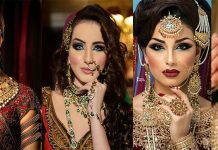 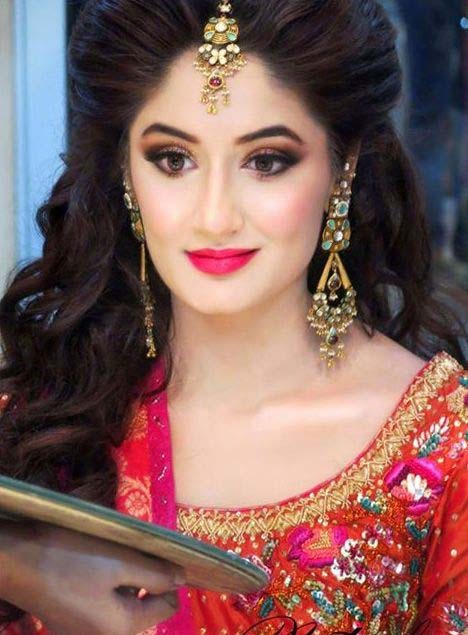 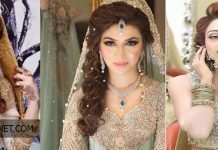 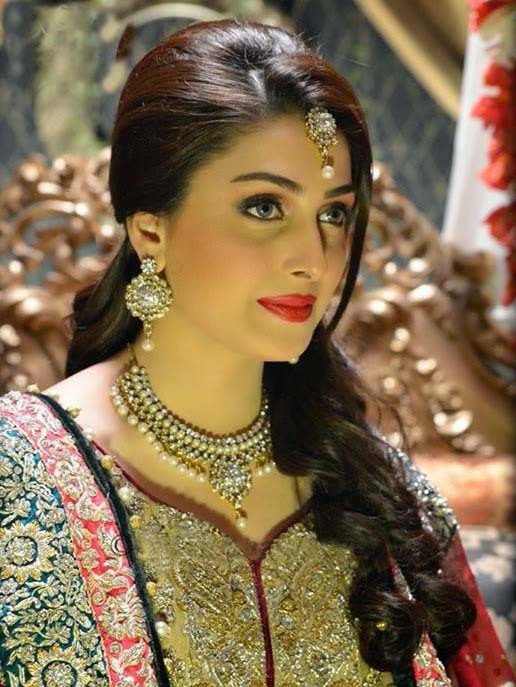 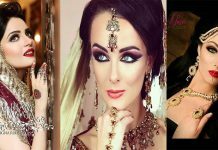 So here are the Pakistani Best Bridal Makeup Tutorial- Step by Step that will guide you in perfect way and makes you adorable on your big day. 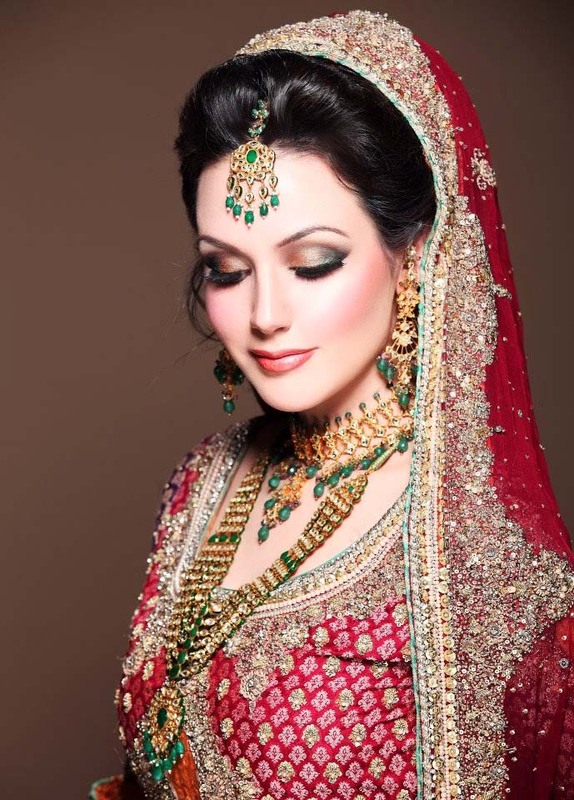 A perfect base is a thing that is best for long lasting makeup, because bride has to attend function for long time and it should be according to environment and season. 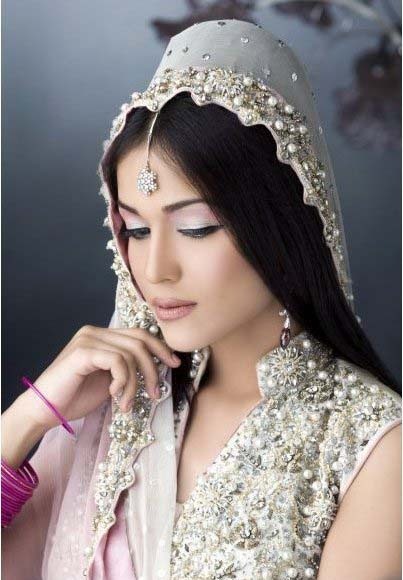 First of all, apply primer, it will cover all your skin pores and control oil production from your face, then apply concealer according to your complexion, it should be one time lighter then your skin tone. 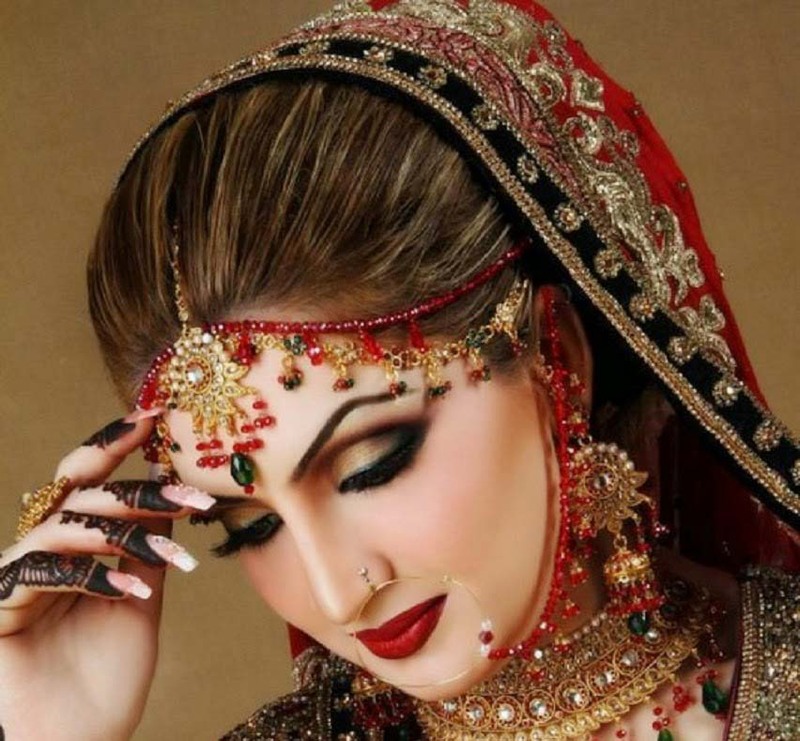 It will help to hide dark circles and spots and marks. 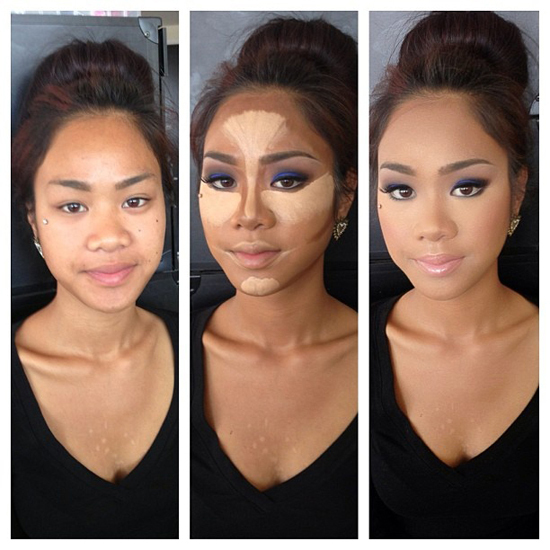 Now apply moose water base that should be perfectly marching with your skin color. 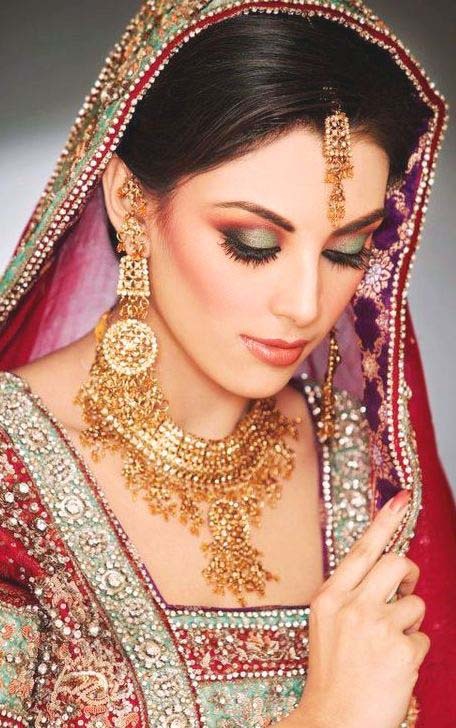 The base should give you natural look, it should be in light quantity and then applying loose powder gives finishing look. 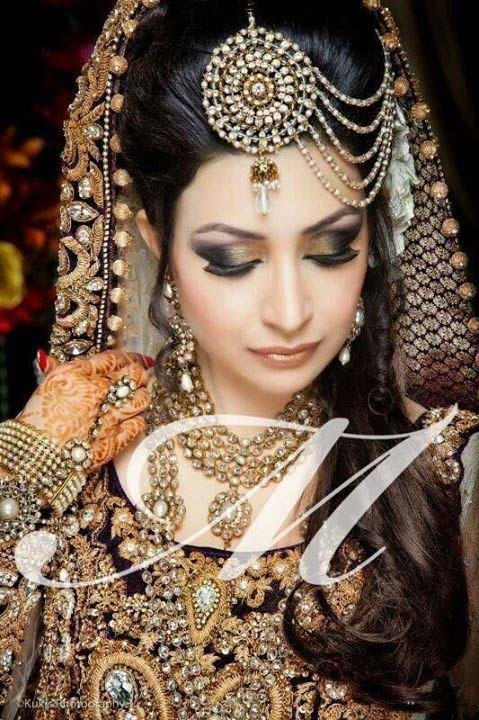 Contouring is also important step of makeover, it should be done according to face shape and color that especially focuses on cheeks, forehead, nose and jawline area. 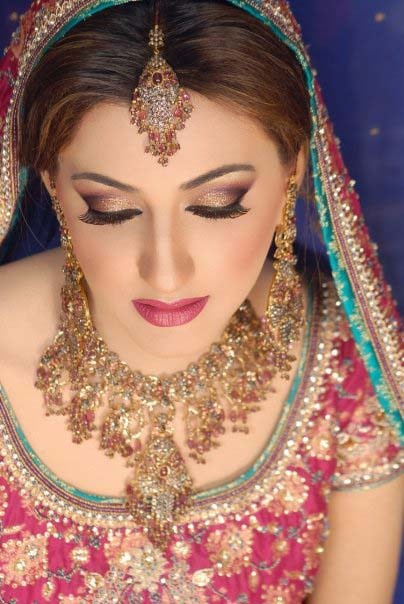 Eye makeup consist many steps, here we come with most important steps of bridal eyes makeup. 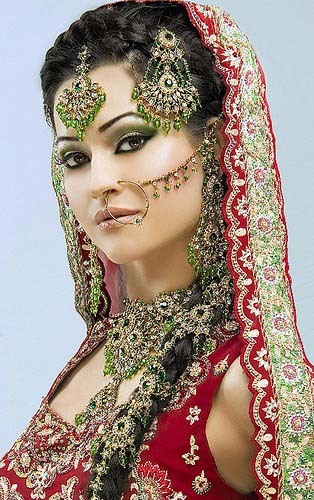 Base is most important it should be in lighter tone, and to make it more prominent, use base color on inner areas of eyes. 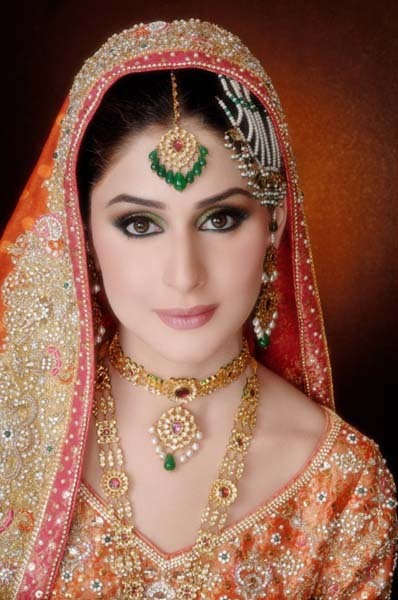 After this, use silver, gold shade in center of eyes. 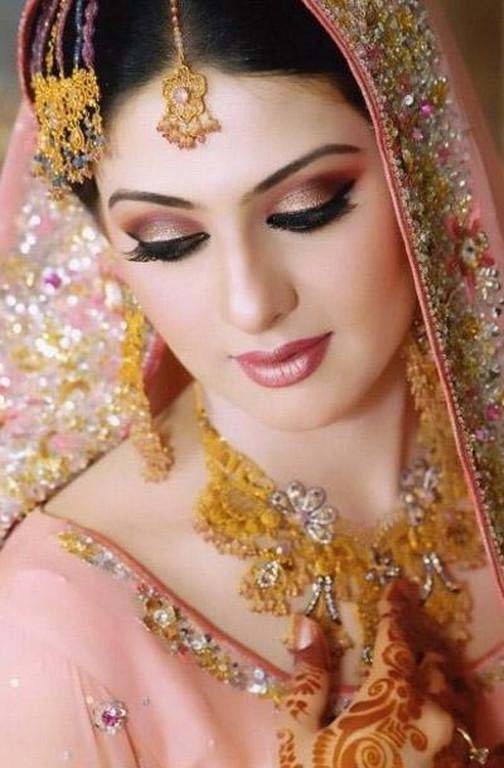 Shimmery makeup is also very trendy nowadays. 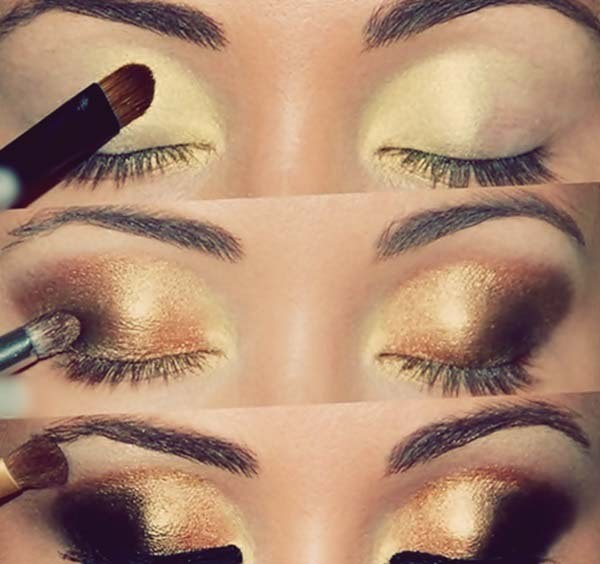 Use darker eye shadow, after covering other areas to make it more attractive and bigger. 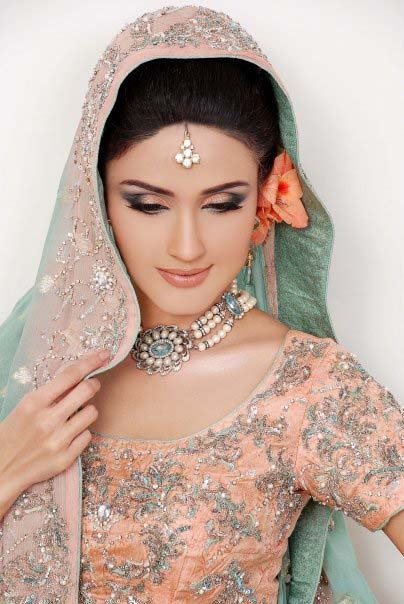 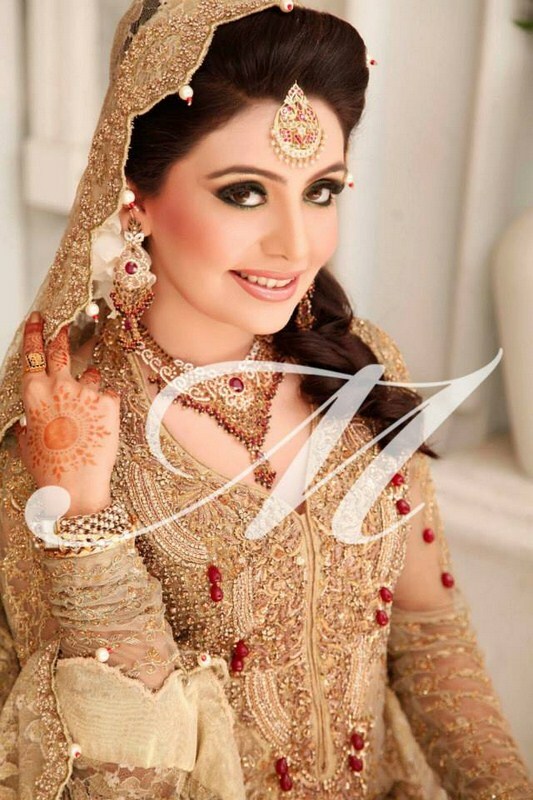 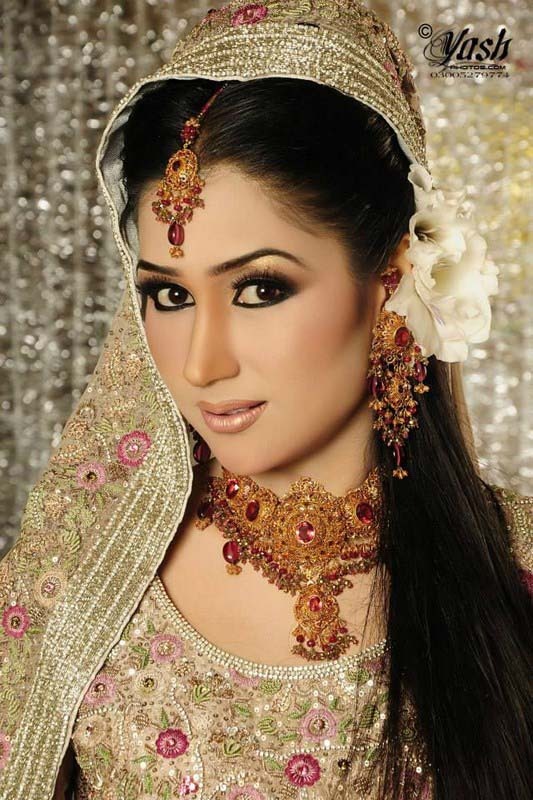 Best blending is key factor in Pakistani brides look. 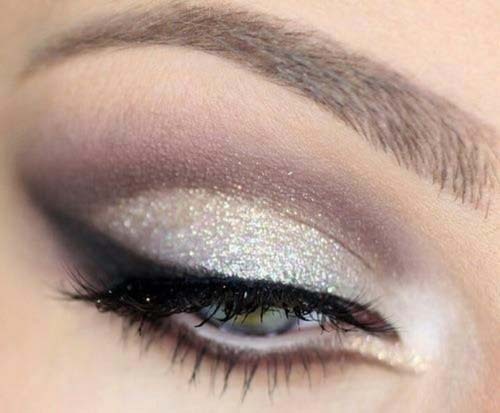 Silver Color in Edges To make eyes look bigger, fresh and wider, use little amount of shadow at inner corners. 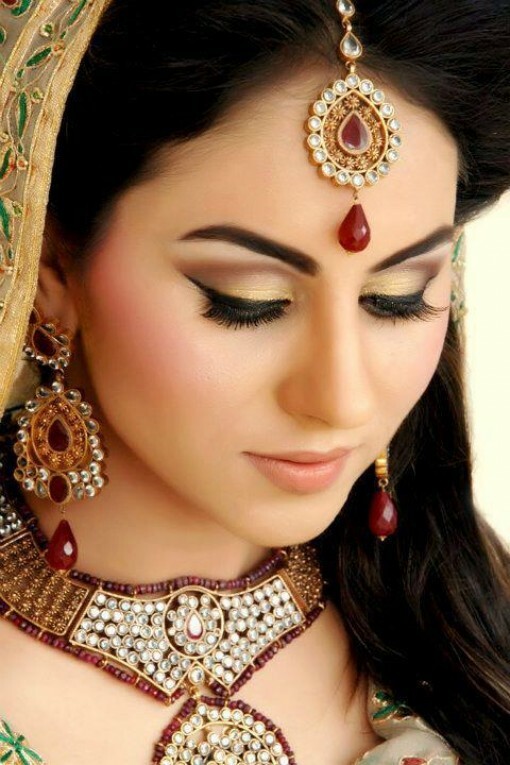 Use artificial lashes and mascara to make complete look, and also apply eyeliner and branded kajal. 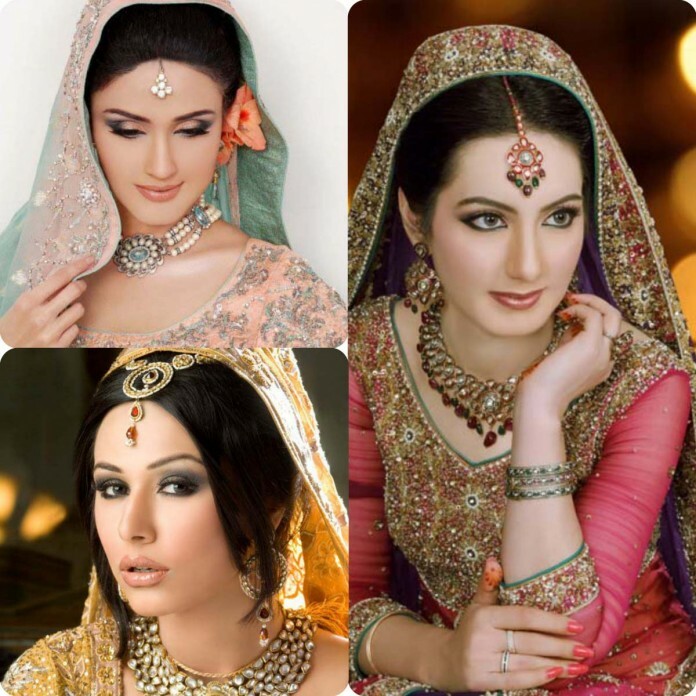 Apply these all steps with much care and perfectness. 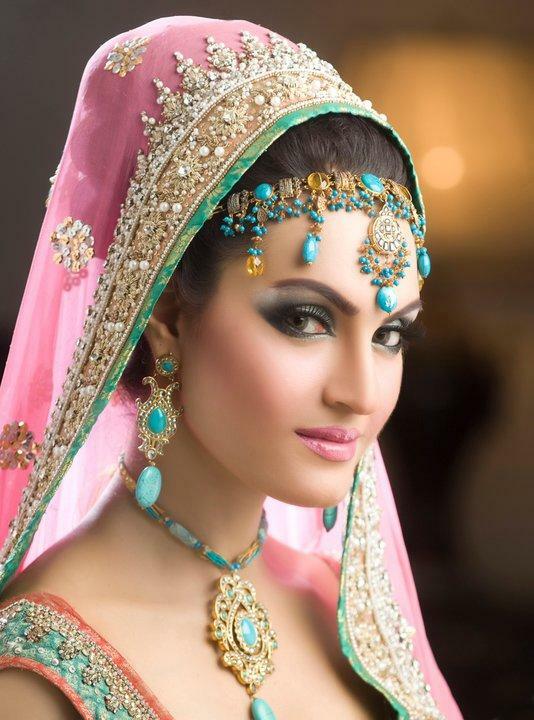 The 4th step is to highlight cheekbones with pink, light brown or copper blushon. 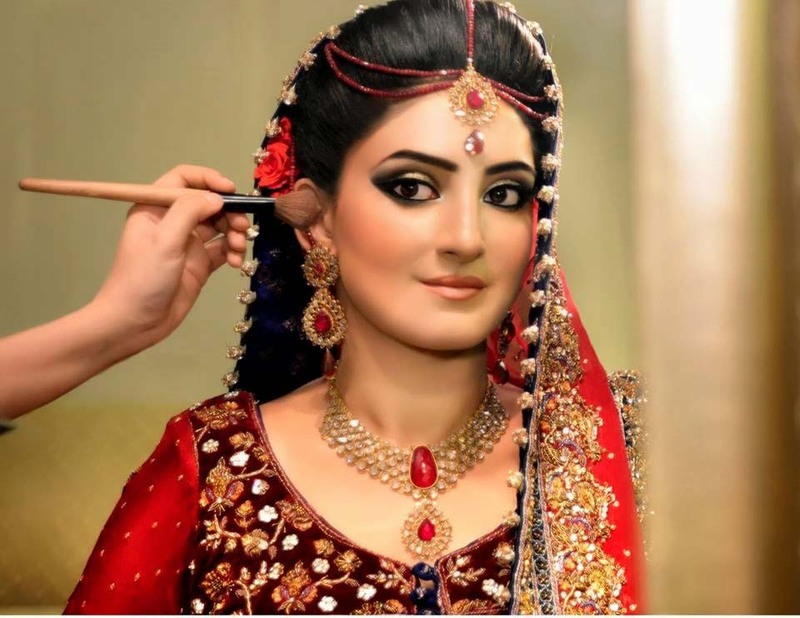 Last step is to use lipstick according to function, on barat day it is in darker shade, but on walima and mehndi day it is soft and light shade, usually in light pink color. 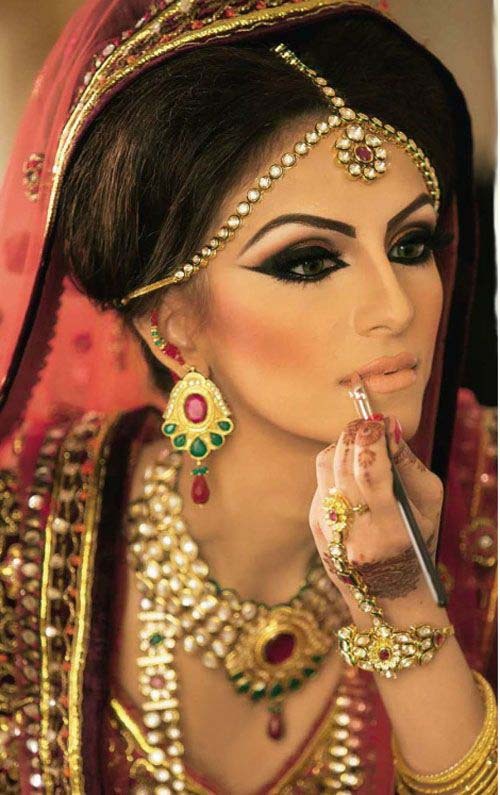 To make more prominent appearance , start with lip pencil and make outline then use lip balm firstly and then lipstick. 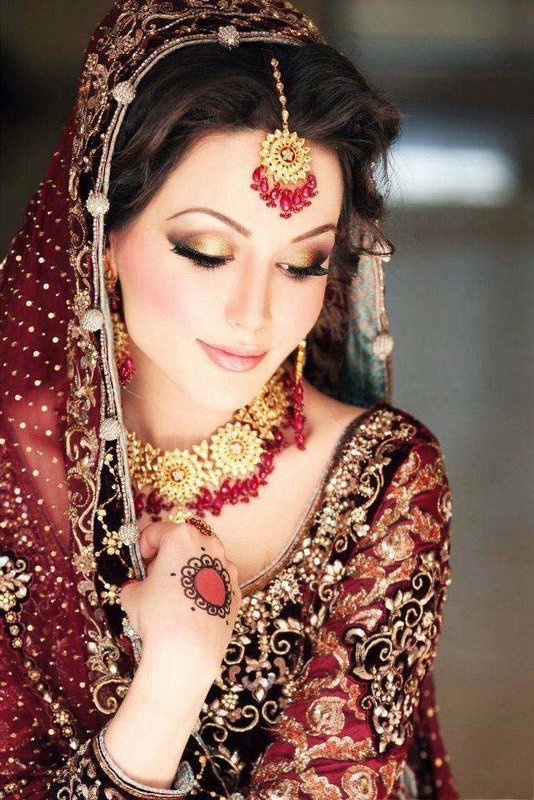 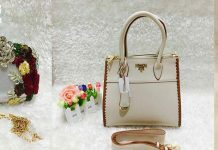 Every bridal look marvelous on each day in different dresses and and makeup. 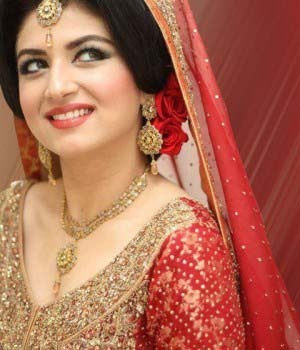 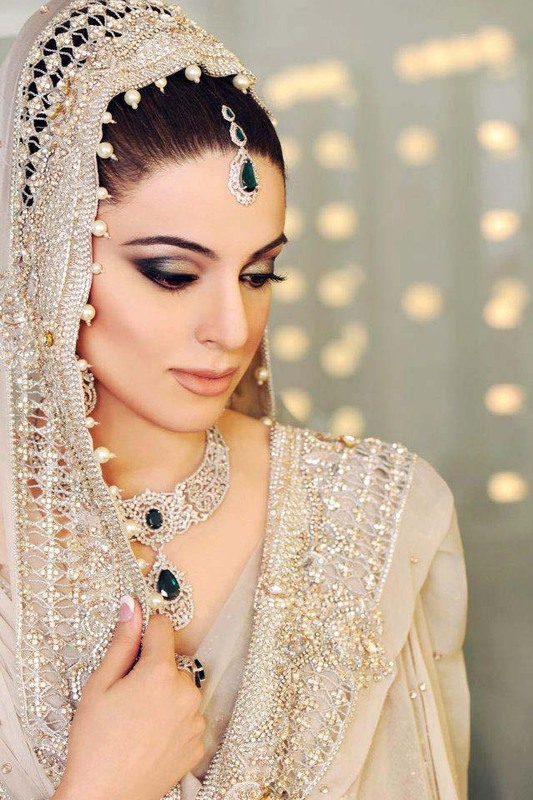 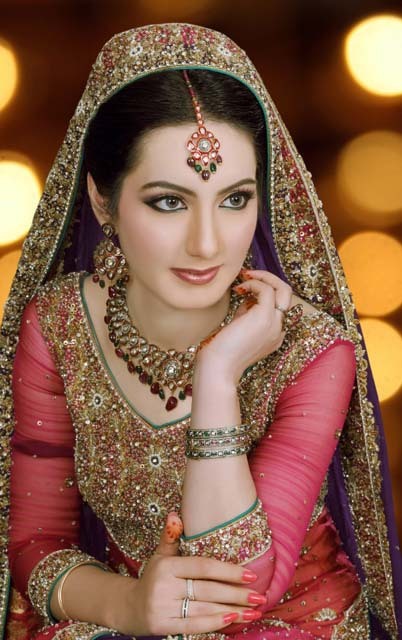 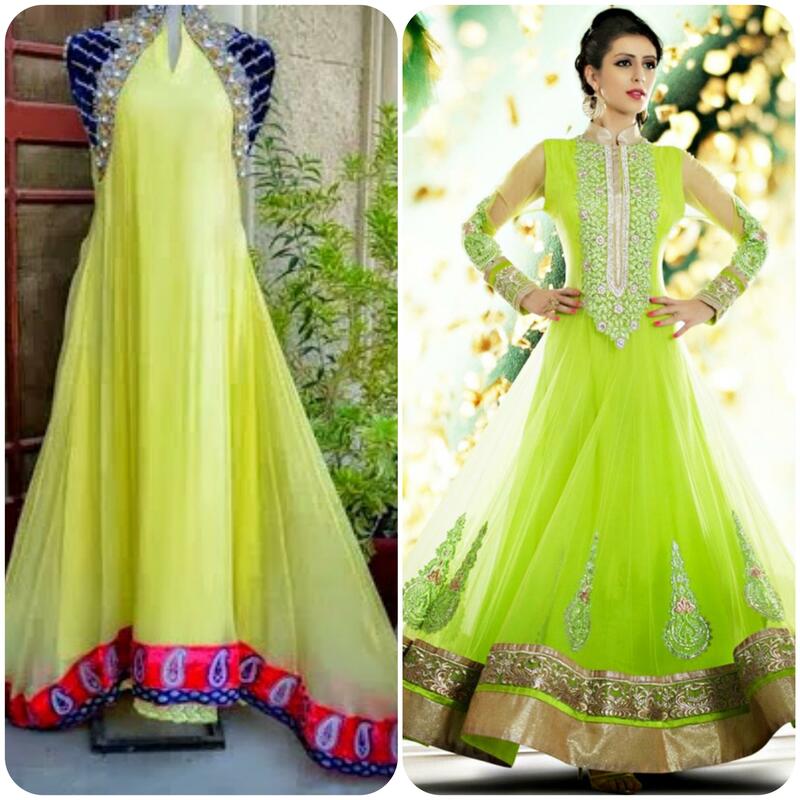 Pakistani brides prefer traditional and heavy look on her first day. 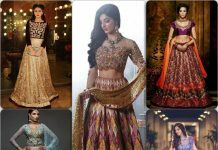 image gallery is shown above.